Smartphones and tablets have simplified and added fun to the process of dealing with email. Apps have made the weather forecast a one-click process. Tablets have brought casual-gaming to a new level and left the netbook looking boring, old, heavy and slow. 60 seconds to boot, 10 seconds to fire-up the application and another 10 seconds to get the browser, email or twitter application up-to-date. The low-end casual laptop is dead for many in the advanced markets and its likely to die a quick death. As mobile, always-on products and operating systems improve and as the developer community invests more time and money in creating quality apps, the need for a PC undeniably diminishes but the need for powerfull processing power and high-quality apps doesnt. The laptop needs to re-invent itself within the next 5 years to compete against maturing mobile operating systems and ARM based platforms and also the lower production cost of these low-power, single board, sealed systems. Ultrabook, as a project, is the right thing for designers, manufacturers and customers, but do the first wave of devices compete against the existing mainstream devices that come in at cheaper levels. What customers should think about buying Ultrabooks today. To understand what you really get in a 2011 Ultrabook you need to think about a perfect balance of power, weight, style and price for the mainstream laptop user. While a HP DM1 might look great value, once you add in the Ultrabook features, you’re up to the cost of a low-end Ultrabook and if you need more processing power, you can’t reach into Core i5 or Core i7 territory. Similarly when you look at lightweight Core i5 laptops, they may have a higher clocked mobile CPU but they are using computing platforms that can sap a 50Wh battery flat in a hot 2 hours. The weight and size cost is considerable too. You’ll be looking at 1lb of extra weight in nearly all cases for very little real-world processing or battery life gain. The Ultrabook slots in just above the tablet and replaces the netbook and desktop with a device that takes style, efficiency, access speed into the design and adds high-end features that have never before appeared in laptops at this price. Yes, I mentioned desktop replacement. For a significant percentage of desktop users, the Ultrabook will be a satisfactory, and way more stylish and portable choice. Processing power rises to 10x the processing power found on a netbook (or high-end Android or iPad tablet) This isn’t high-end processing power but its a comfortable level for many people and with the addition of fast SSD storage the feel of the device is faster and smoother than higher power devices that don’t run on SSDs. The power of the SSD can not be understated so if you are comparing Ultrabook alternatives, factor in the cost of an SSD upgrade if needed. Video decoding and encoding hardware is included. Granted you’ll find this on any Intel Core platform in 2011 but encoding is not something found on netbooks and on nearly all tablets. It allows for extremely fast, low-power video conversion (for handheld devices for example) and speedier video editing for the average customer. Real-time video enhancement processing for enhanced on-screen or external screen viewing. Turbo-boost overclocking by using fine-grain thermal management. Low-power 800Mhz mode lowers the dynamic range of the Ultrabook to enhance battery life but retains ‘netbook plus’ performance. This mode is perfect for the traveler and writer. On-die 3D graphics solution offers gaming experience. Fast SSD storage dramatically increases boot, resume and application start-up time while lowering power, increasing ruggedness and lowering noise levels. Regarding battery life, be careful. The Ultrabook is a high-dynamic range machine that can run at anything between 2 and 8 hours depending on usage scenarios. Make sure you compare battery life in like-for-like scenarios. FOr the weight class, the Ultrabook is likely to deliver the best battery life per pound/kilo. Sleep and Charge powered USB ports when the Ultrabook is off. Don’t forget that very important design too. Ultrabooks are thin and stylish. After spending time with one, even the thinner notebooks look clunky and with weights going down to a netbook-beating 2.2lb / 1KG they are extremely light to carry. Even a 3lb device is noticeably heavier. If you’re looking for an ultra-portable laptop now, start with the Ultrabooks because they get the balance right across a wide spectrum of requirements. Windows 8 to further improve efficiency, improve user-interface dynamics and widen usage scenarios. The 2012 Ultrabook is for those that can wait. Competition will be higher, prices lower and you’ll get more performance and features for less money. The possibility of Ultraslate tablets. A note on the Apple MacBook Air: The MacBook Air is a great example of an Ultrabook-like design and is a valid option in this space. It led the way, to the Ultrabook [you can be sure that Intel helped with the design on the MBA and learnt a lot from it.] For those that are happy with OS X (which is very well optimised for the platform) we would recommend the MBA. 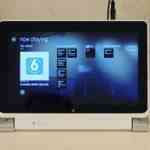 Related – A few years ago I wrote about lock-in elements of ARM-based smartbooks. 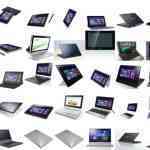 The Ultrabook project is addressing many of these issues. The Ultrabook offers something for everyone from the device designer, the manufacturers, the retailer and the end-user. You can compare non-Ultrabook alternatives, but for this level of style and portability, there are very few real alternatives. I was unsure about what the whole Ultrabook business was about, but these two articles have opened my eyes and mind to the project. Personally I’ve recently re-found the Nokia Booklet 3G (just bare with me) and with a Linux OS it delivers a nice experience. I appreciate the internal SIM slot and the GPS sensor. Not much use for the latter, though, but one can dream. I wonder if Ultrabooks will re-launch the inclusion of SIM slots for 3G internet. :) Fingers crossed! The Toshiba Z830 will come with an hsdpa option. Chippy, come on, don’t exaggerate. I open my browser on my netbook in 1 second and my Office documents in no more than 2 seconds, definitely not the 10 seconds you claim. Btw, netbooks weigh about 1.25Kgs, that is the same weight or lighter than an ultrabook. So, why do you say its heavy? You say, “FOr the weight class, the Ultrabook is likely to deliver the best battery life per pound/kilo,” but my netbook gives me 8 hours ( with wifi on) and weighs 1.25Kgs. The Acer weighs 1.35Kgs and gives a pathetic 3 hours usage. Half the price for a better machine? Theres one ultrabook that comes with a 35wh battery and it weighs 1.1kg. Im not saying that the Samsung is bad, its an excelent option, but you cant compare it to selected Ultrabook specs from different devices. Dont forget to add the cost of the SSD to bring speed levels up to the Ultrabook standard too. Does SSD really brings a significant improvement in performance compared to the good old faithful hard disk? Data figures are one thing but can one really see in your day to day tasks and increase in speeds. Is there really a substantial ROI (return on investment). I have tried both. For most people, there won’t be any substantial improvement in performance. At the end of the day, cpu is king. You have a good cpu, everything else has no relevance. The hype of SSD’s are like cars. A car manufacturer will come out with a new car saying it can do 0 to 60 in 4.3 seconds, beating the older model which can only do 4.4 seconds. When you drive a supercar, unless you are an enthusiast, you can’t really see any visible difference between 4.4 seconds or 4.3 seconds. The same with a HDD and SSD with an already fast CPU. It depends what you’re doing, not all tasks rely on the drive performance. So you’ll have to discount anything that runs from RAM for example. However, for those tasks that do rely on the main drive then the performance difference is a heck of a lot more than just a split second or two. SSD’s provide substantially faster boot and shutdown times, substantially faster seek times, substantially faster small read/write speeds, and the newer fast SSD’s are now offering SATA III (6 Gbps) range performance while hard drives are still stuck in the SATA I range. So if you don’t notice a difference then you’re just not doing anything that really uses the SSD. Great counter-article Chippy, thank you! I still find myself going back and forth between waiting until next gen, or buying one now. It’s encouraging to hear speculation of a price drop in the next two months for the Christmas season. The waiting game can last forever, before you know it, you’re waiting on 3rd generation, or 4th. I would love a touch screen and lower price, but I don’t want to wait another 6 months or more. I’ll give it another two months to see if there’s a price drop. If not, I may be plunking out $1200 for the i5 Lenovo. (really want the orange one, but $1600 is ridiculous). Needed this. So you have done your due diligence and educated us Ultraboook Fanboys so that we can make educated decisions. THANK YOU! THANK YOU THANK YOU! Now my guess is, like the netbook, the form factor is a HUGE part of the equation. Many of us bought netbooks not because they were powerful, and certainly not because they were easy to type on. We bought them for portability and battery life and sacrificed on many other factors. We have a similar decision to make here. Except here we get an amazing form factor with respectable power and capability. BUT we may have to sacrifice some flexibility and battery life. Now this IS a tough call. So I get all the portability I could ask for along with amazing style and solid power, but I have to sacrifice in other areas. I think many of us thought the Ultrabook would be the ULTRA solution with all our favorite things in one great package and price. Well, I guess this will not be the panacea. So now I have to decide to buy Gen 1…or wait til Gen 2. Dang, I hate decisions like these!!!! I think your first article was more convincing. If I had the money for an ultrabook then I would get a MacBook Air, not a similar priced imitation. The biggest issue right now is that the Ultrabook ‘project’ is literally game-changing but the first products are difficult to justify because of price. The process needs time to satisfy a larger percentage of potential laptop customers. The good news is that even if sales numbers are zero in 2011, Intel will still be continuing with the project. If you don’t like todays products, the next wave will be launching in 6 months time. For me netbooks are too small and too slow and ultrabooks are too expensive. If I would need a ultraportable notebook right now I would look for the Lenovo X121e, which has great battery life and a choice of different processors. I could buy two or three of this for the price of one ultrabook. But all the Lenovo x121e models that are cheap, use cpus in the netbook class. Move to core i3 on thr Lenovo, add the SSD and you are at Ultabook price. Imitation is not really accurate because Apple didn’t invent the Ultra Thin and Light laptop and not all Ultrabook makers will be making models that look like the MBA. While companies like Sony have been doing it far longer than Apple has. Intel is just creating a specification that helps promote themselves and attempts to turn what has traditionally been a niche market into a more mainstream market. Most likely because they want to start competing in the mobile market and need to establish a product category that will separate their mobile product offerings from their higher end offerings. So they’re in it for the long haul. While we’re mainly seeing models right now from companies that have never made Ultra Thin and Light systems before. So there’s a learning curve for them and a initial cost for establishing the manufacturing of these Ultrabooks that the first gen models will have to deal with. Something that Apple also went through, considering their first attempt at the MBA was a over priced and under performing failure and it’s only the second and third gen models that has been successful. So should wait to see what the more experienced manufacturers can offer and/or wait for the 2nd gen models to come out for these inexperienced companies to start getting it right. At the very least, introduction of Ivy Bridge should start making it easier for them to keep cost down and start providing better run times. The argument against ultrabooks was far more compelling. I think that the manufacturers and Intel have missed the biggest single issue that would get people to buy an Ultrabook and that is battery life. As someone above commented people who have netbooks sacrifice performance for portability and battery life. Consumers who use laptops at home don’t care about thin and light and don’t care about battery cause they are at home. It is the mobile user that will upgrade and the mobile user can only upgrade if the battery life is equivalent of netbooks or better. Personally I think the home user is more influenced by style (in the target markets for 2011/2012 Ultrabooks) than we might imagine and I think that will become an important market for Ultrabooks in 2012. For mobility, yes, we want more battery life but the tradeoff is harsh. Size and weight increases. We have to remember that this platform is incredibly efficient but the only way to improve battery life without slowing down the speed of the devices [like netbooks] is bigger batteries. Cost, weight, size. I needed a fully capable laptop that will weigh no more than 1.7kg and smaller than 14″. I needed a light weight device because my bag will get heavy quickly with case files and other documents I carry on a regular basis. Thankfully Acer already released its S3 line, and I needed a replacement badly. No other laptop met my requirements at the time of purchase. Only Acer was available that time but I never regretted to be an early adopter in this case. I am in the market for a new laptop and have been tossing up between the Ultrabook and a thin & light conventional laptop. I have always bought large heavy powerful laptops which were always plugged in and not moved all that much. I am now more mobile and sick of lugging these around. If I am honest with myself 99% of my usage is pretty lightweight and on the occasions I need processing power I could wait a few extra seconds without creating any drama. I am looking forward to the the added value of a laptop that can always be with me in every meeting or journey, just like my notepad (or an iPad) silent and relatively discrete. The quoted battery life of Ultrabooks is very high (6-8 hours) if it is used lightly which will be fine for me. I think every gram and every mm tips the scales in favour of leaving the device on the desk; so I think that the portability will add utility that the simply thin and light category does not achieve. If I get an Ultrabook, I intend to take it with me (almost) everywhere like I take my smartphone. 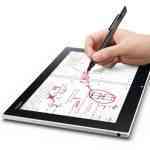 Windows 8 and sliding screen form factors and touch screens that make the Ultrabook more tablet like will only further enhance this utility. I have had a samsung 900x3a with W7Pro (had to upgrade the silly default OS) for 2 weeks and have never been so productive. I know I jumped early especailly considering the prices downunder where I had to pay $2300 and I am annoyed at not being told about the connectors being required and unavailable but all that fades when I look at the value. I now consume and communicate with my ipad and produce with the first “laptop” that I enjoy carrying and using. The size and speed and using W7 with VPN makes it fit my corporate life perfectly. Gone are my samsung netbook and my HP laptop. Word to the wise though there is a issue with HDMI not working past 1.5m range. Well, I guess comment spam shows that this site is reaching the masses! Keep up the good work Chippy!